He told ESPN FC: "No. I think I committed myself to DC and that's why I'm going to give everything to DC. In the off-season I'll stay here for a lot of that time with my children in school. I'll go back during Christmas to see some family and friends. "I'm committed to DC and I don't think it'd be right for me to fly back and forth to play on loan with another team. 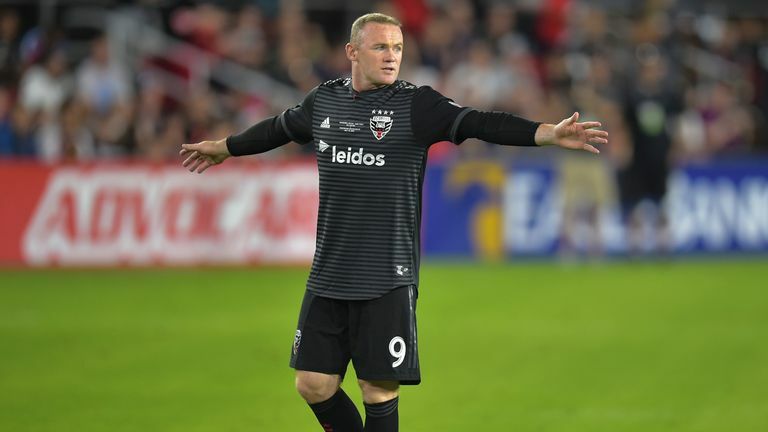 Thirty-three-year-old Rooney has rediscovered his scoring touch in the United States after Everton's disappointing season last term, when he was the club's top-scorer with 11 goals in all competitions, and believes he has proved those who doubted him wrong. "I didn't think too much about [what people say]," Rooney added. "People see what you put in on the football pitch, there's no hiding place. If you come with the right attitude then people will see that, and if you don't then they'll see that. "It's down to the player, either myself or others to have the right attitude and show which I've done my whole career. There are games when you might not be at your best, but you keep working hard for the team - it's what I've always done and will continue to do."